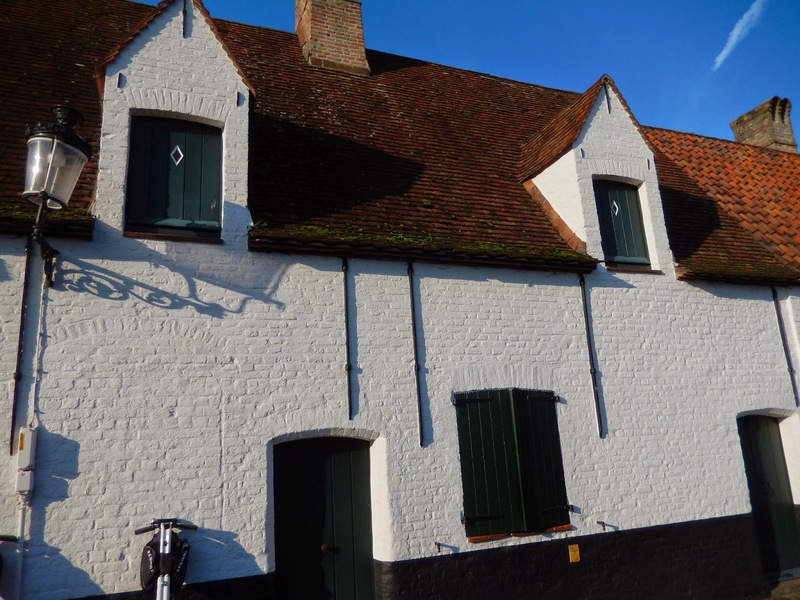 In the last blog post, I documented our time at WWI sites in Belgium and France. Understandably, this was a very sobering experience. Wisely, however, those who planned this trip built in many pleasant experiences too. We spent four nights and four days in Belgium but only two of them were dedicated to travel to war monuments and memorials. 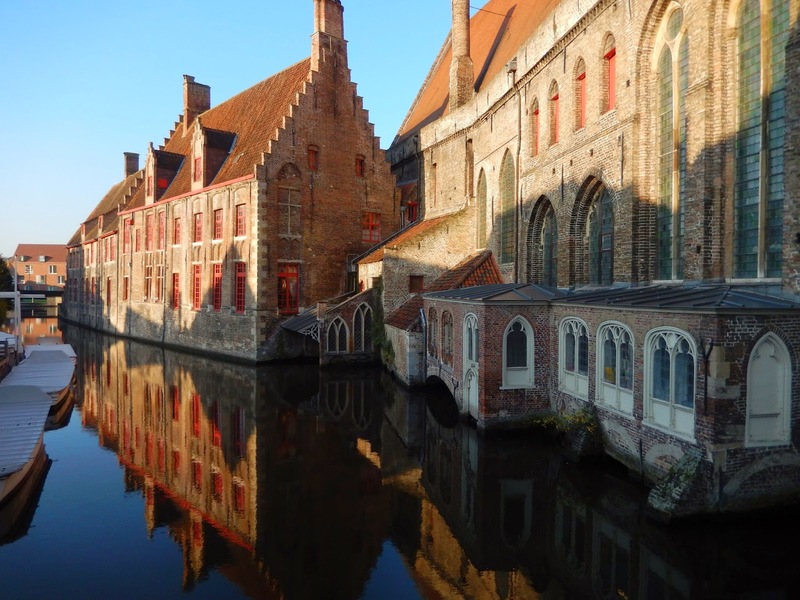 The others were spent in delightful activities, mostly in Bruges. 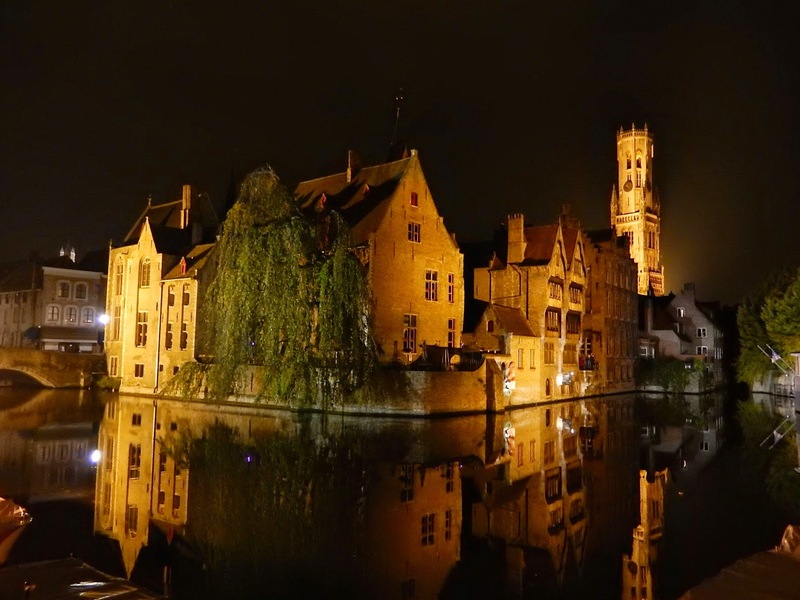 Bruges is a very pretty place. If you have seen the movie, In Bruges, you will have learned that even hardened hired killers are susceptible to its charms. In my opinion, it is the ideal European city: it is small enough to be explored on foot, and yet large enough to offer lots of variety. It has history, culture, good shopping and great beauty. 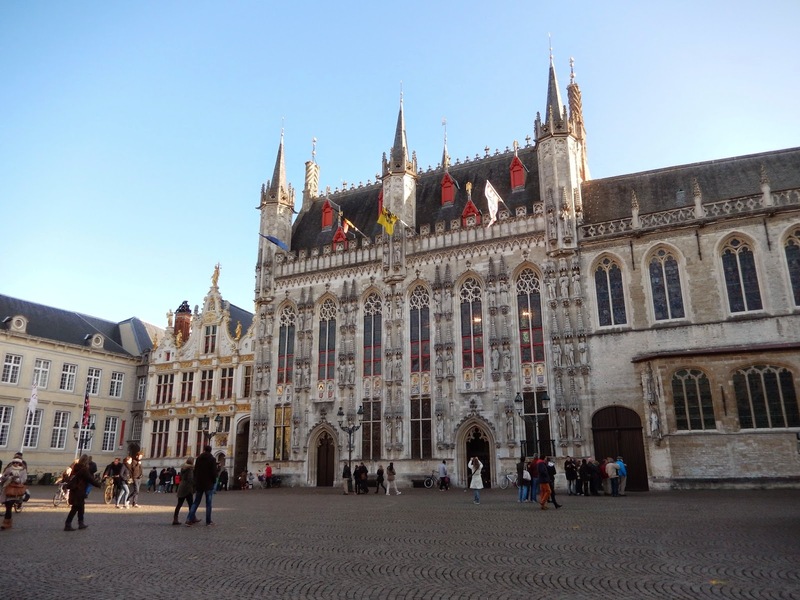 The Provincial Court Building in the Market Square in Bruges. The Historium is on the far left. 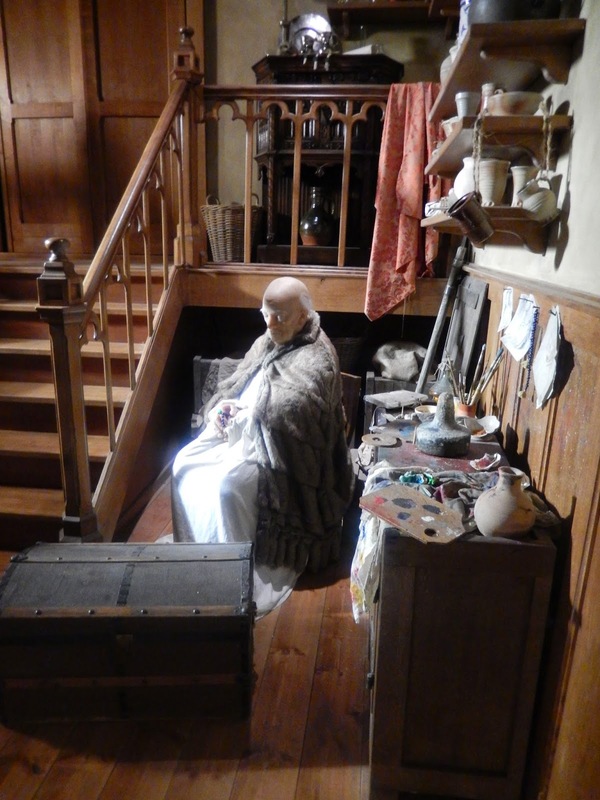 Upon our arrival to the city in the late afternoon, we headed immediately to the main square to visit the Historium, a quirky museum which uses animation and film to tell the story of the city's glorious past as a centre of trade. From the top floor of the building where the Historium is housed, we were able to look over the Market Square which is full of restaurants, and people enjoying the city. 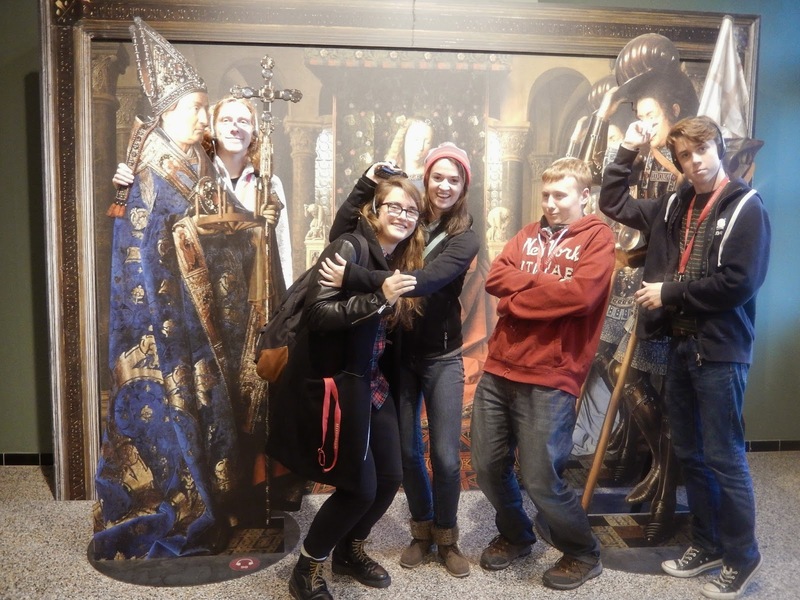 Solene, Kienan, Becca, Liam and Will get in the mood for history. 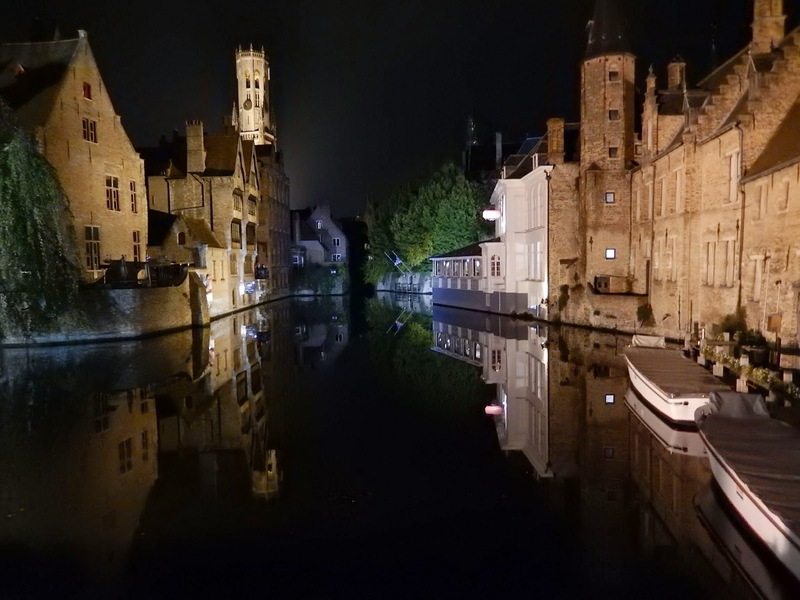 Bruges shines after dark. Major buildings are lit up and its canal network reflects the light beautifully. We were very fortunate with the weather while we were there, with clear days and beautiful evenings day after day. 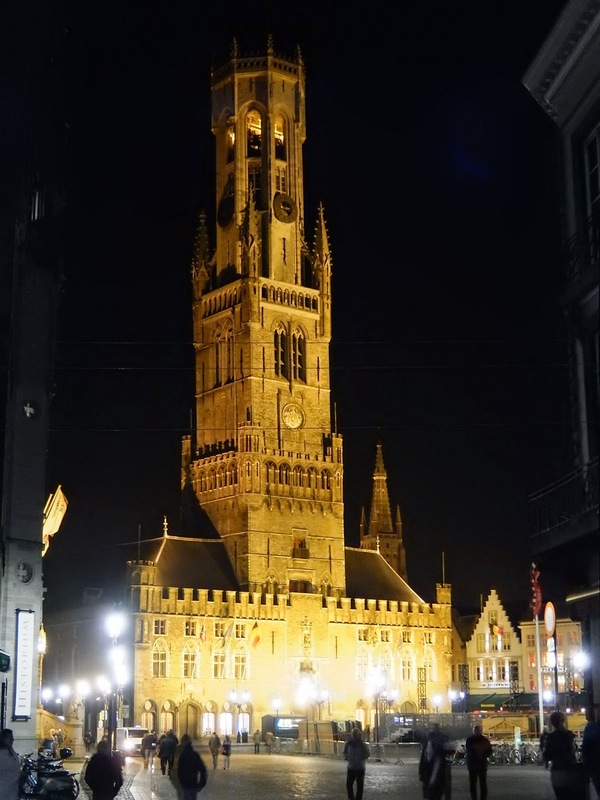 The Belfry of Bruges at night. 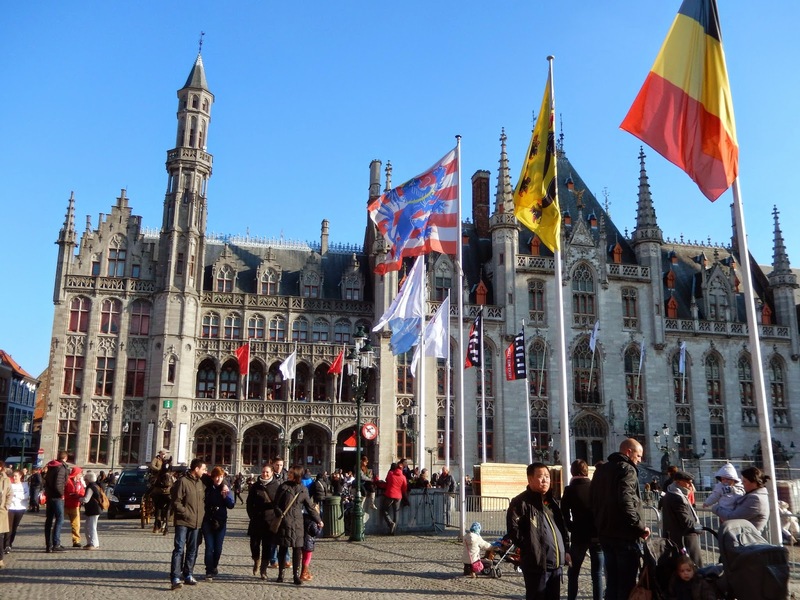 On our only day spent entirely in Bruges, we explored it in three ways. 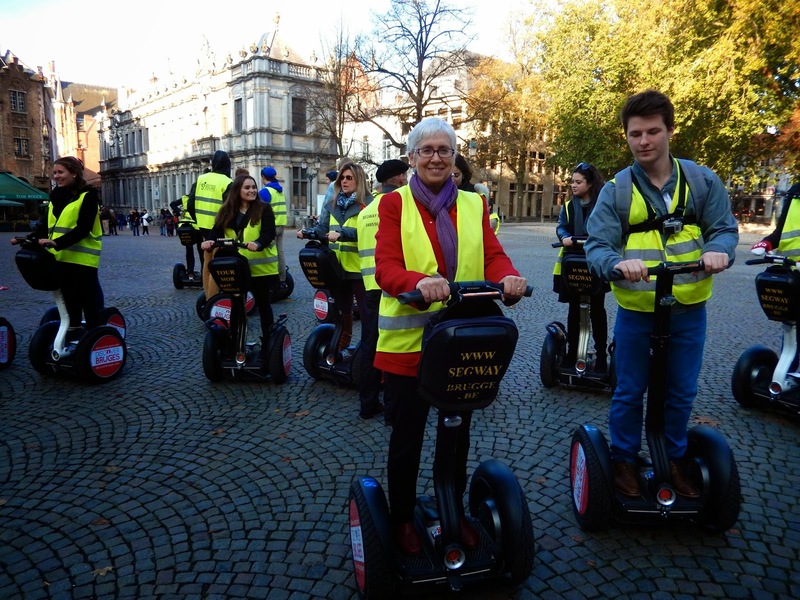 First, we were taken on a Segway tour - after Segway training, of course. The entire experience took about an hour, which felt more like double that to me. I was a nervous driver on my Segway, and although I avoided any accidents, I was troubled when my right foot fell completely asleep while aboard. I was the exception, though. The students loved every minute of this experience, and were only disappointed that they had to travel under the speed limit and were a little cold. Hiding my terror on the Segway. 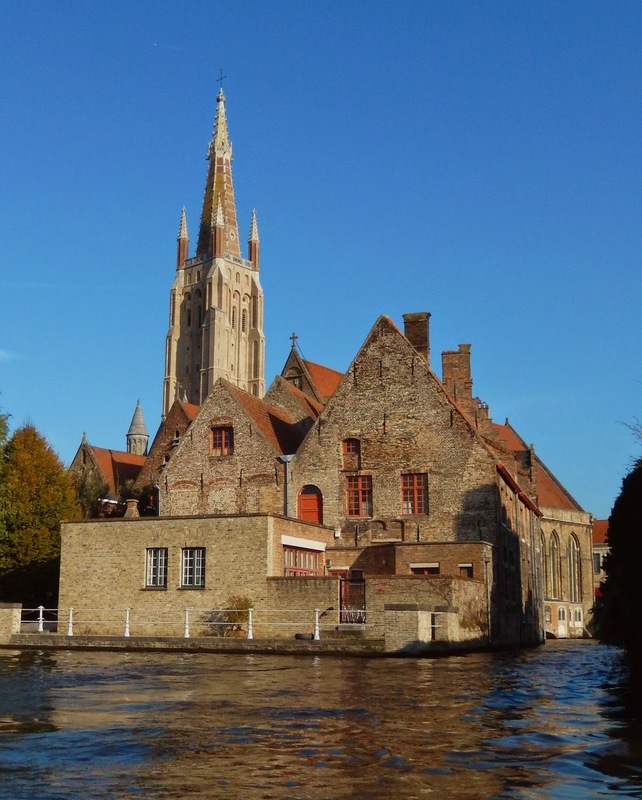 Godshuizen in Bruges: houses for the poor and needy. Next, we saw the city by boat, on a barge tour that took us along many of its canals. Our driver/guide narrated the history of the sights in three languages - impressive, although not always comprehensible. 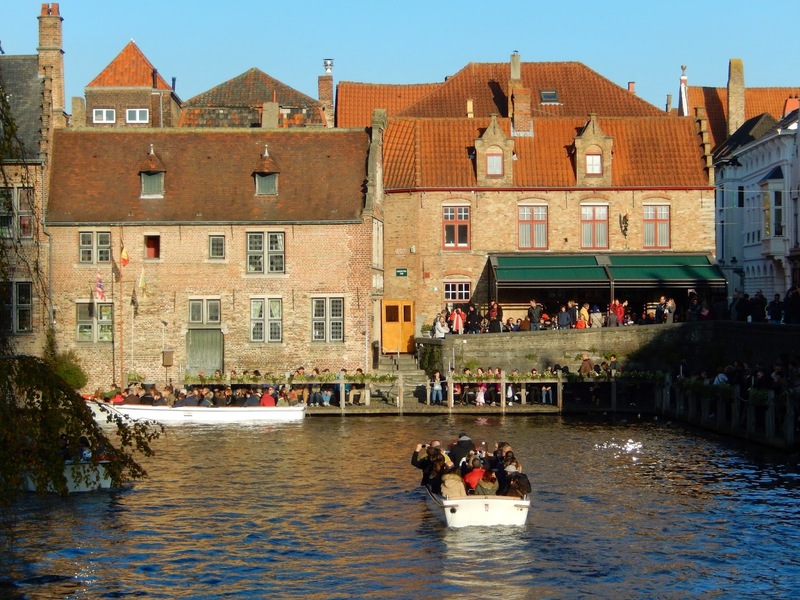 Based on the number of people jammed into the barge with us, this is a very popular way to see Bruges. I took this shot of a church from our barge. Finally, I explored the city on foot - always my favourite way of getting around. First I located the Van Eyck statue where I posed with Terry for our version of a famous movie still. Becca was our photographer and she went over and above the call of duty to get a great shot. Tatyana hung on to her legs lest she tumble into the canal while getting the angles just right. I really wanted to be Colin Farrell but Terry won the part, so I played Brendan Gleason instead. Bad casting I say. My perambulations also took me along the main shopping streets in search of Belgian fashion. Bruges is a centre of Belgian lace and chocolate as well, and so I made sure to get some of both of these too. 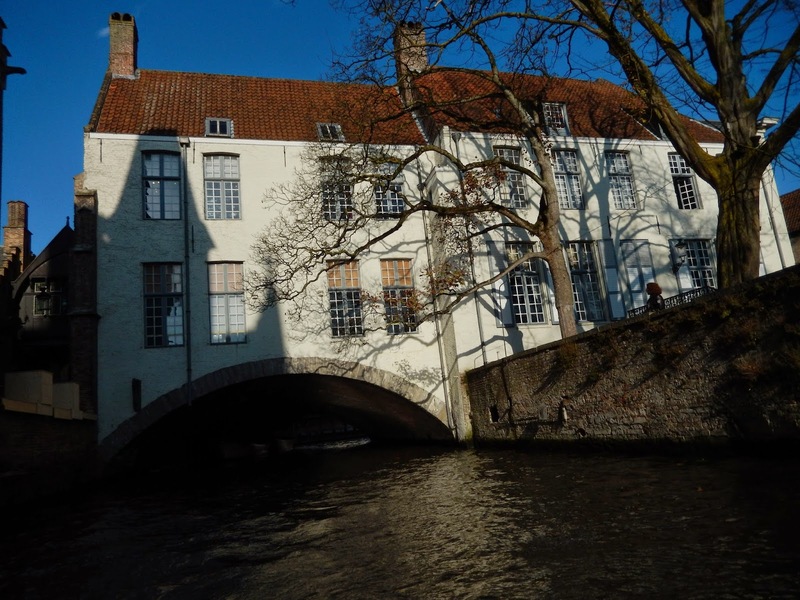 Mostly, I took photographs of beautiful Bruges on a beautiful day. Barge tours as seen from the land. 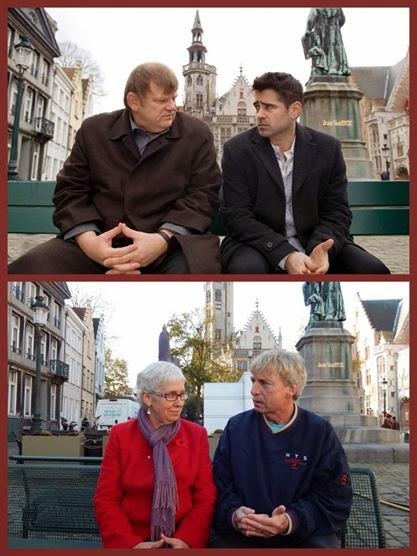 Over my time there, I was utterly entranced by Bruges. 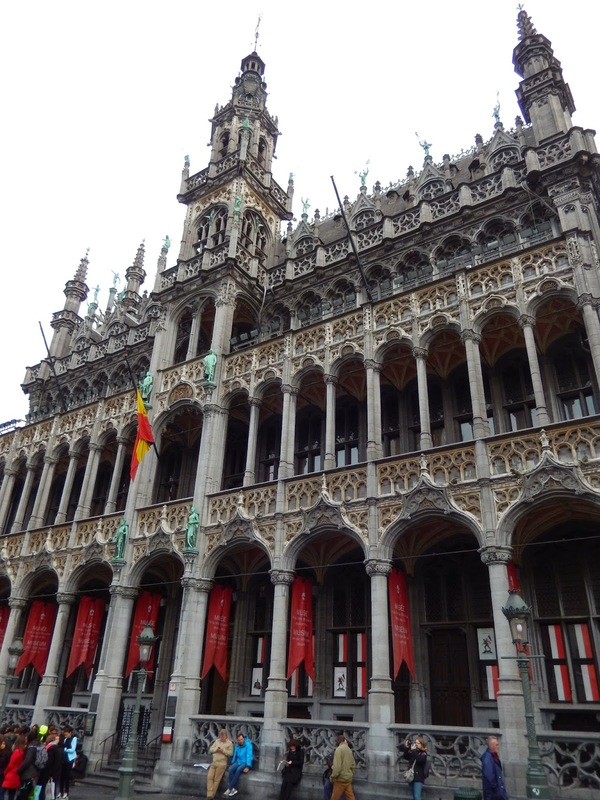 I saw many of its attractions and sampled Belgian cuisine (mussels are a very popular choice here). I was reluctant to leave. Still, we had to make our way back home. 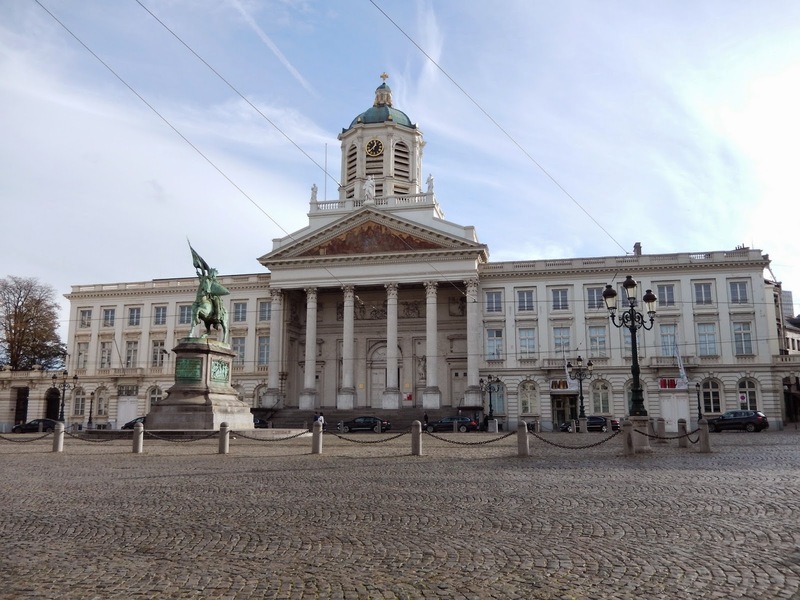 Our flight was scheduled for the late afternoon, but we left in the early morning so that we could have time to explore the Belgian capital before we left the country. 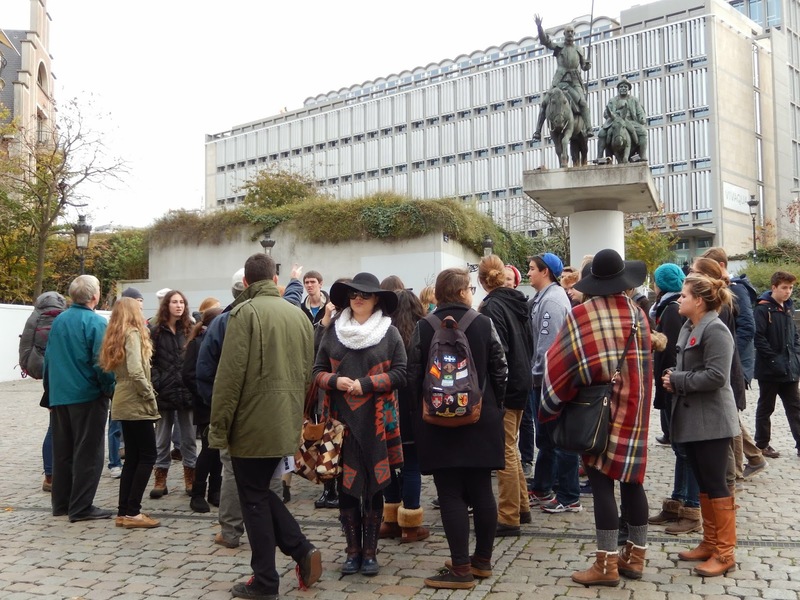 We gather in Brussels by the statue of Don Quixote and Sancho Panza. 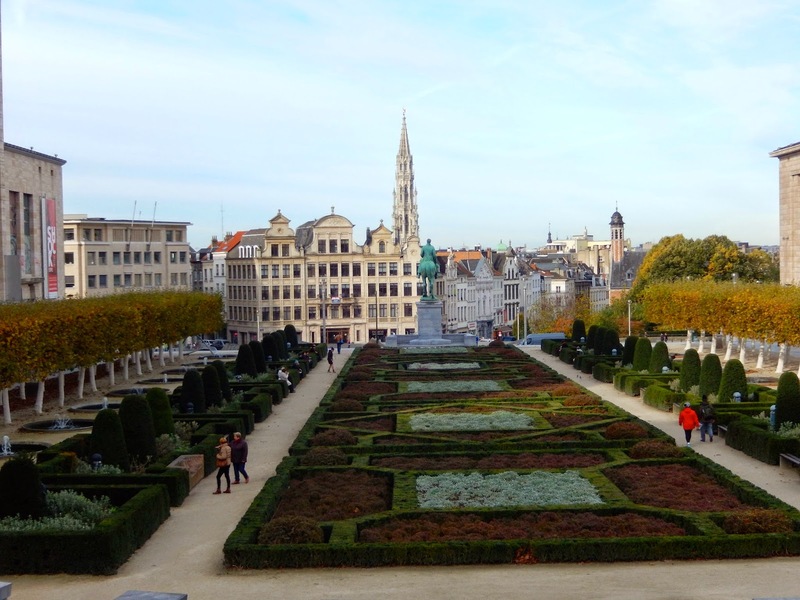 With only about three hours in Brussels, I decided to spend my time exploring on foot. I managed to see quite a bit. 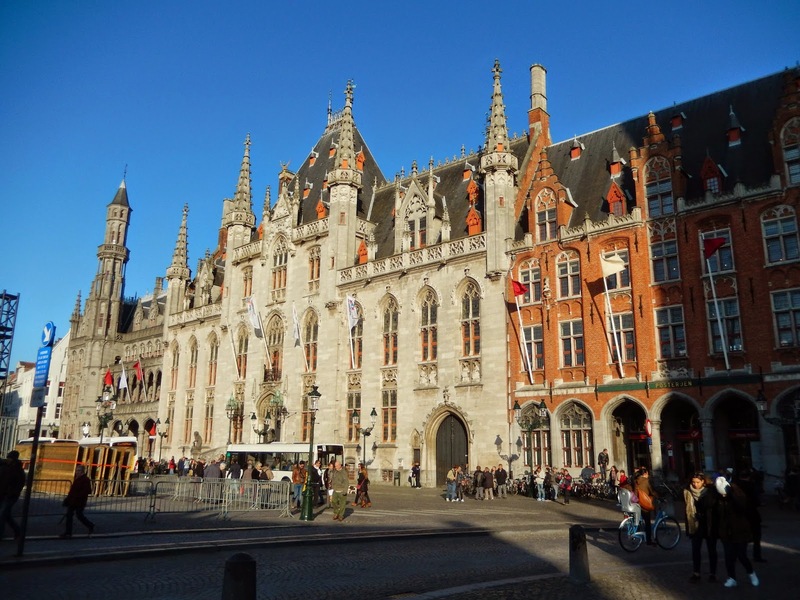 The main attraction is the Grand Place, which is a large square surrounded by beautiful buildings. Apparently, in summer, the space is carpeted with flowers, but on this day, it was all cobblestones. 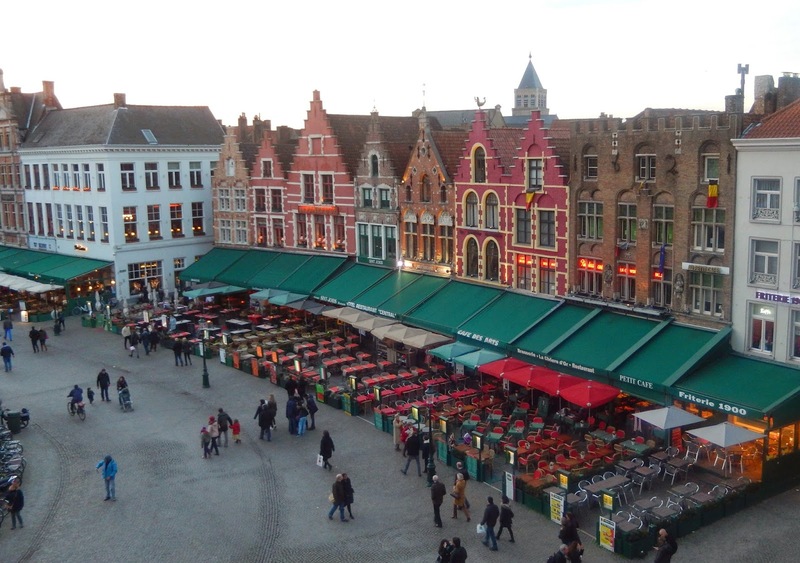 Nearby are narrow streets leading to shops, cafés, and many stores selling chocolates. From there, I headed toward the Royal Palace which is very close to the Royal Museums of Fine Arts, a complex of buildings with collections from various periods. 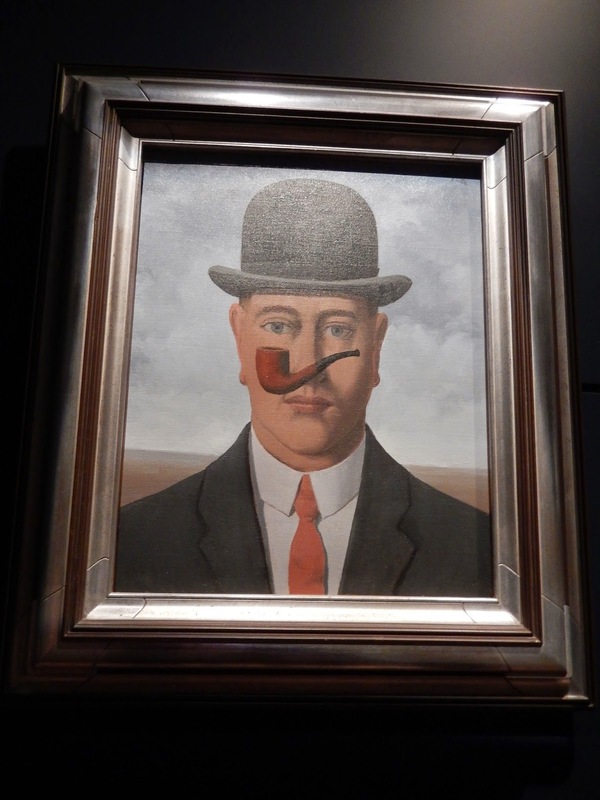 I decided to have a look at the Magritte collection, before I headed to the Cathedral. 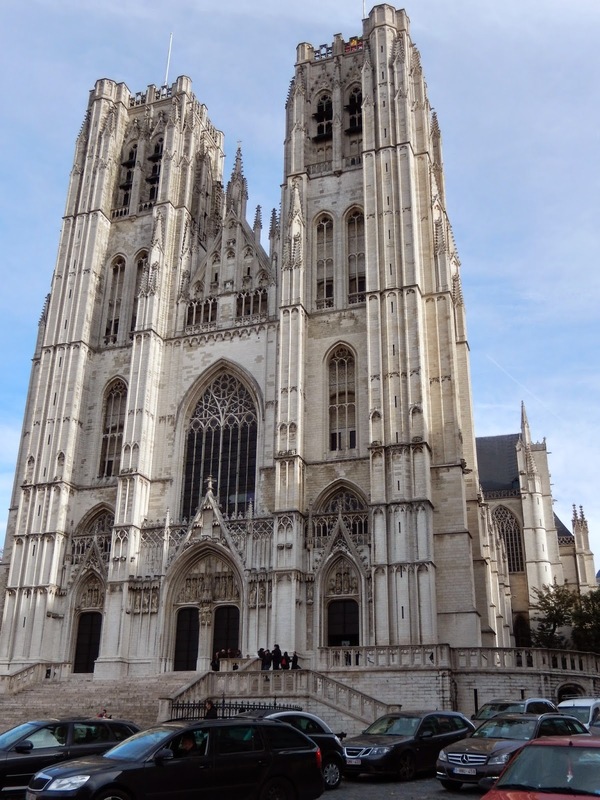 The beautiful and very stately gothic Cathedral is perched on a hill. 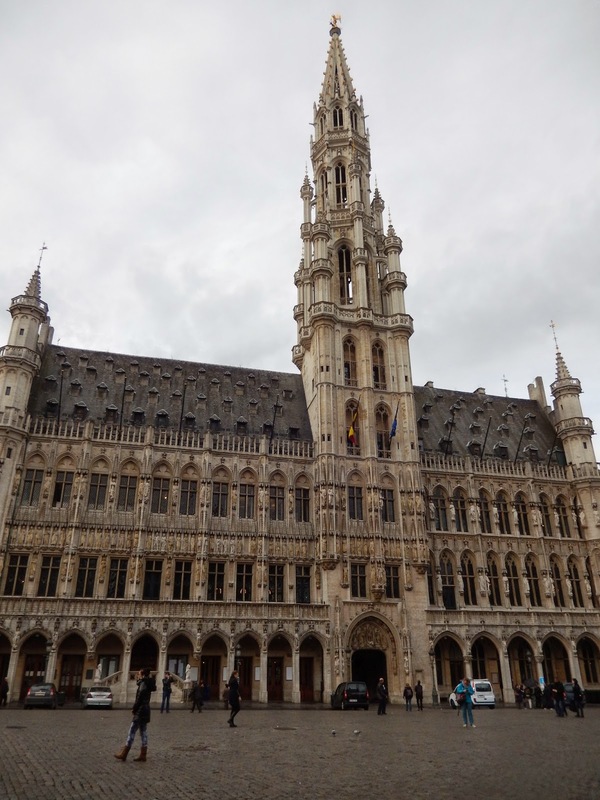 It was my second-to-last stop in Brussels. My final destination was the train station where I purchased my only Belgian waffle on the trip. How could I leave the country without having one? By mid-afternoon, we all met at the bus which would take us to the airport for our flight to Geneva. From there, a short train ride brought us back to Neuchâtel. My first trip to Belgium was a memorable one. This is a country that I would like to see more of in the future.